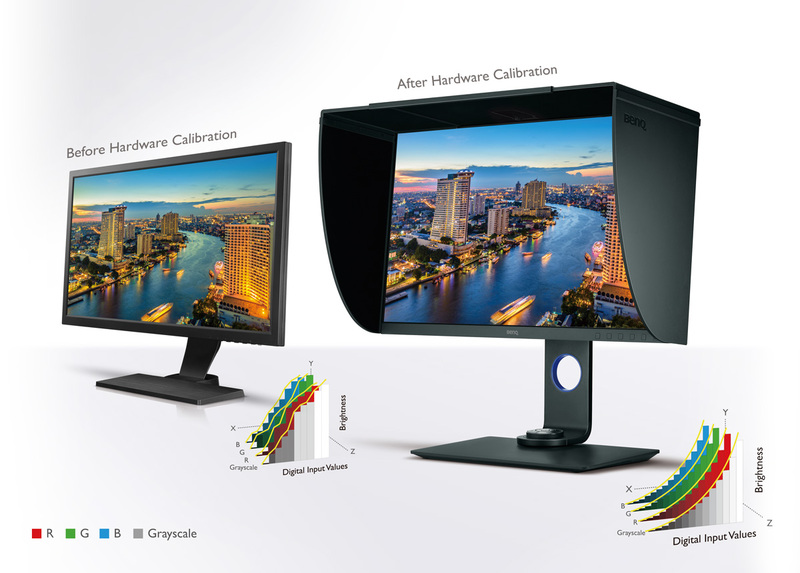 With stunning 4K resolution, The BenQ SW271 27" HDR Photo editing monitor is equipped with factory-calibrated 99% Adobe RGB, 100% sRGB, 100% Rec.709 and DCI-P3 color spaces. The USB Type-C port offers convenient signal transmission and high-resolution display, with an edge-to-edge ultra slim bezel. With over one billion colors, you can enjoy the smoothest color gradation on this 10-bit display panel. High Dynamic Range (HDR) increases the overall dynamic range between black and white, so the resulting image appears closer to what your eyes see in the natural world. 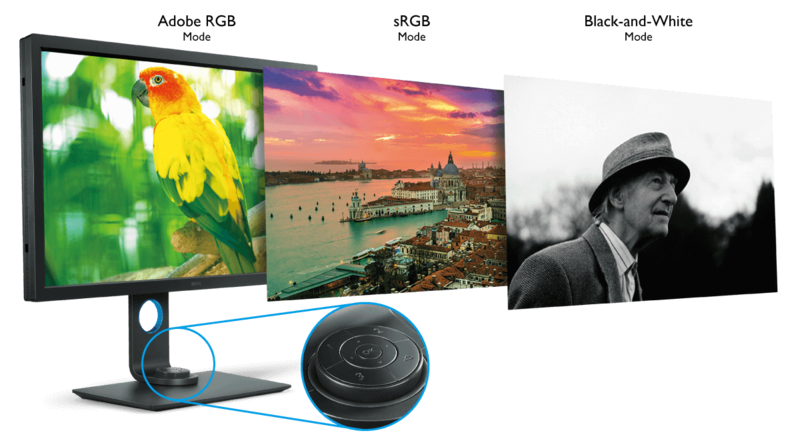 *To view HDR content from your device, ensure that you use the HDMI cable provided with the SW271 monitor or a High Speed HDMI or Premium High-Speed HDMI Certified Cable. The 14-bit 3D Look Up Table (LUT) improves RGB color blending accuracy, resulting in impeccable color reproduction. Having Delta E≤2 in both Adobe RGB and sRGB color spaces gives you the truest representation of the original image. Hardware calibration allows ou to adjust the image processing chip in the monitor without changing the graphics card output data. It keeps images consistent with its original copies without being affected by graphic settings. The SW271 uses the latest USB-C™ port to transmit video and data with only one cable. So you can do hardware calibration with ease. The USB-C™ port smoothly displays brilliant 4K content and offers up to 5Gbps data transfer rate. *The transmission rate of USB-C™ can vary. For more information please check out the user's guide. Learn more on how to use GamutDuo. Learn more about setting up the Hotkey Puck. The SW271 includes a detachable shading hood that effectively reduces the monitor's screen glare resulting from ambient lighting, ensuring superb color accuracy for professional work. The shading hood can be used in both portrait and landscape orientations.